We’ve seen Ashura and Indra along with their reincarnations many times over, with Hashirama and Madara being the ones before Naruto and Sasuke. 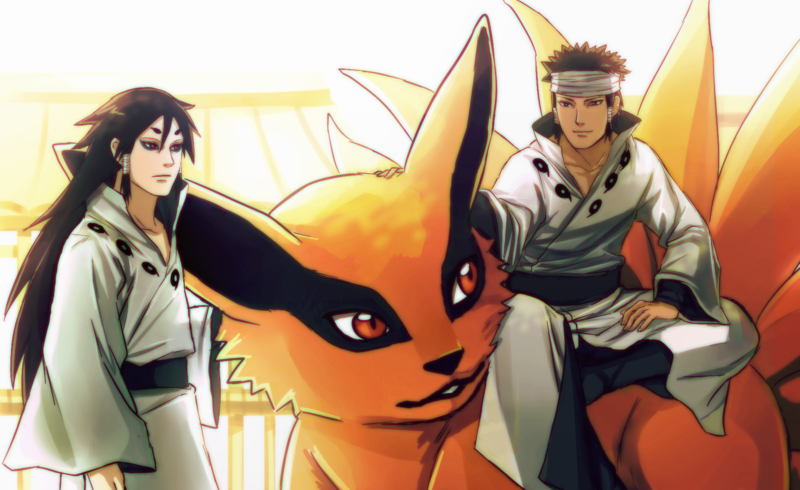 Ashura and Indra were the original brothers, they weren’t equal but were blood related. During their time, we learned that the Sage of Six Paths or Hagoromo split the Ten Tails, the strongest of those was Kurama the nine tails as seen this image. A pretty dope picture if you ask me, it was drawn by ForeverMedhok, who has a some amazing looking Ashura and Indra work along with other work of their own. Be sure to check them out if you like this, otherwise be sure to share the page with fans of the show.